Dynasty Warriors 1 didn’t involve large-scale battles or endlessly chained combos. In fact, it wasn’t anything like the modern series. Years before Dynasty Warriors would become known as the quintessential hack and slash games, players first experience with the name was in the form of a 2.5D fighting game. Omega Force developed the series for Koei Tecmo back in the late 90s. 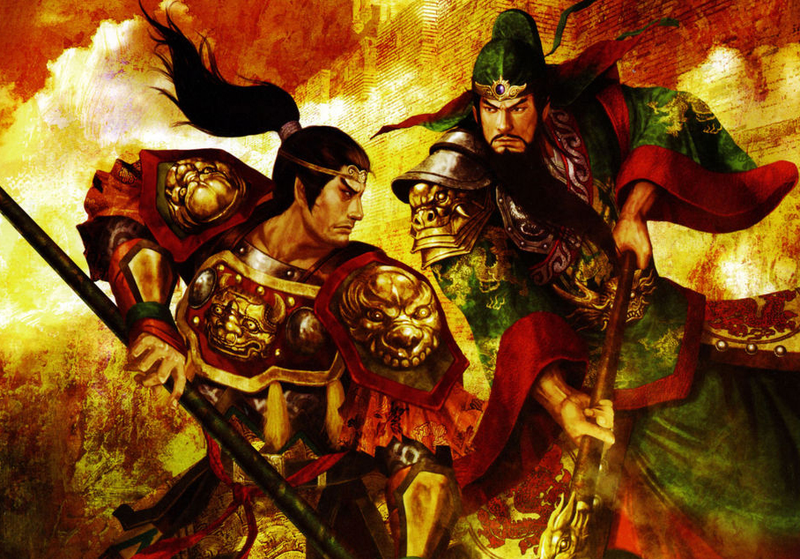 It was the studio’s first game, and though it was still based around Chinese history like Koei’s main series, Romance of the Three Kingdoms, was, it was a radical departure from the predominately text-oriented strategy those games excelled at. Modeled after games like Soulcalibur, Soul Edge, and Tekken 2, the first Dynasty Warriors was instead a weapon-based fighter. 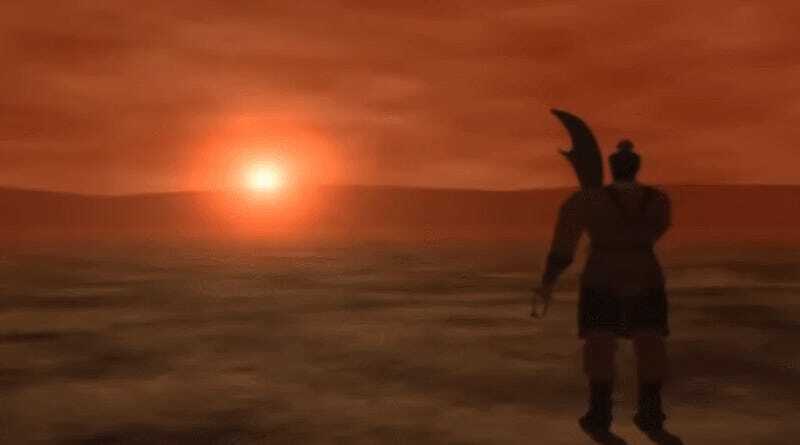 The graphics were very good for a game coming out the same year as Final Fantasy VII and critics seemed quite happy with it, praising it for finding ways to set itself apart from its contemporaries. Even beyond all of the bright backgrounds and satisfying clanging noises, however, the game’s underlying combat mechanics were solid. Instead of blocking in the conventional sense by simply holding back on the direction pad, Dynasty Warriors had an advanced system of parries and reversals. While you could retreat in exchange for chip damage, you could also side-step attacks or counter them all together by pressing the right combination of buttons around the same time as your opponent. Together these options form a sort of rock-paper-scissors approach to combat that forces you to be thoughtful about your actions while still punishing indecision. Offensive combos are also more methodical. Character animations take a surprising amount of time to complete, making it important to think ahead and also cancel attacks if they’re about to leave you vulnerable. Think of it like the fencing game Nidhogg if it moved much slower and took multiple hits to die. The first Dynasty Warriors still has the series iconic musou ability which can be leaned on once a rage meter fills up but it hardly does enough damage to act like a get out of jail free card. The game was anything but mindless button mashing. It also had a much weirder sense of humor. Every character, from Guan Yu to Lu Bu has a unique cutscene ending, and all of them are bizarre in one way or another. Xiahou Dun, the series infamous eye-patched, cutlass-wielding general, ends the game remembering the time he got hit in the retina by an arrow and then yanked it out and feasted on his own eyeball. It’s a thing in the Romance of the Three Kingdoms novel on which the series is loosely based, but is completely ridiculous when rendered in terrible, late 90s CGI for a Western audience who probably just picked the game up at Blockbuster because it looked cool and had no idea what the context was supposed to be. In another ending, Dian Wei and Xu Chu find out they can knock apples down from a tree by hitting the ground with their weapons. It’s cute. On both counts, the original game has some important lessons for the series as it currently stands. We’re now up to Dynasty Warriors 9, not counting the endless torrent of spin-offs, ports, and upgraded re-issues. I reviewed it last week, against everyone’s better judgement including my own, and found it had sacrificed anything someone might come to a Dynasty Warriors game for in an ultimately failed attempt to chase after the promise of an open world design. The cutscenes are also overly long and completely humorless. The overall experience is tiresome mush, the complete opposite of the concentrated, plodding quirkiness of where the series originally started. Gaming history is filled with terrible fighting game clones and stale sequels to them, but the first Dynasty Warriors wasn’t among them. Even if it’s rightfully not remembered for revolutionizing the genre the way Soulcalibur and Tekken did, it still has plenty of important lessons to offer to all the future games that will no doubt continue bearing its name.